The food here captures the best characteristics of the cuisine of the Southwest and rolls them seamlessly together with more refined and elegant style of French-American gastromomy creating the special fare you will find on this menu. The cuisine we are creating at Chimayo is not like the typical southwestern fare you may have had before. We gather our southwestern culinary style from a geographical region extending from Southern Mexico to Southern Utah. We find this region to possess an incomparable integrity as rugged, barying and vast as teh southwestern landscape. 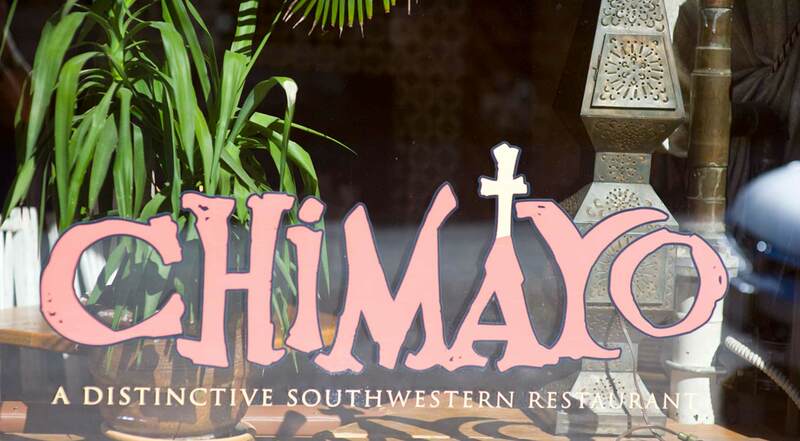 Here at Chimayo we blend these integral Southwestern attributes with a progressive French-American techinique of cooking creating our own special style of food preparation tat is truly unique and different.